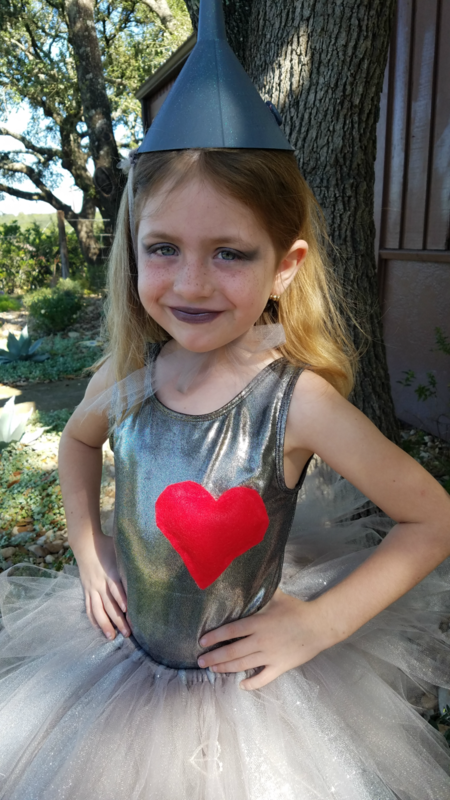 Last year my daughter convinced me to make her a Queen of Hearts Halloween costume, which you can see here. It was so much fun to make and it came out so amazing that I decided to create another DIY Halloween costume this year. 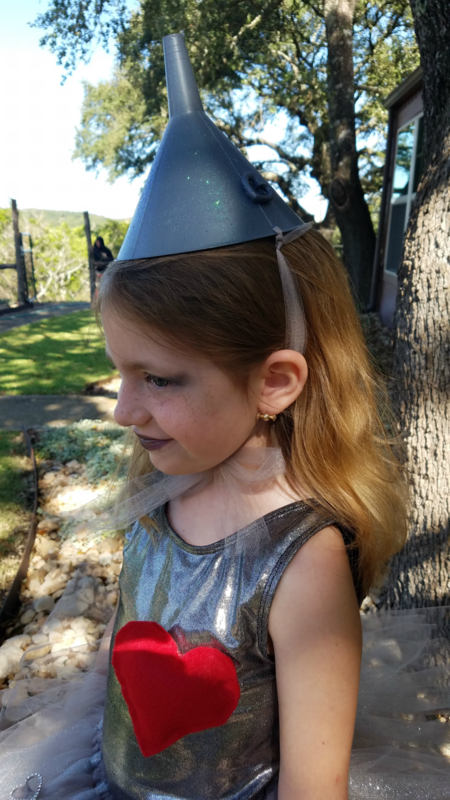 Since one of my daughter’s decided to be Dorothy from the Wizard of Oz, I thought it would be fun to create a Wizard of Oz Tin Man Costume for Girls. Funnel– I found one in our garage, but you can also purchase one here. Silver or Gray Leotard– I looked around on other websites and finally found a cute shiny silver leotard on Amazon. Here is the link. 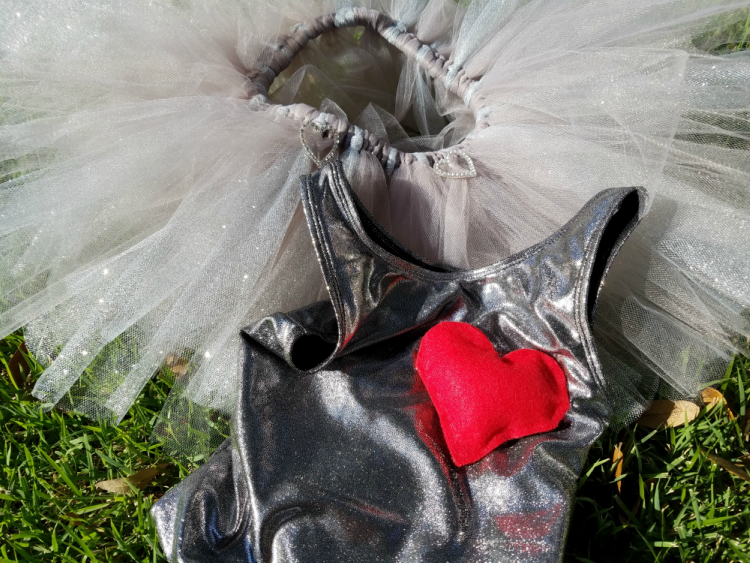 Gray or Silver Tutu– Making a tutu is super simple. All you need is elastic, gray tulle, silver sparkle tulle, a sewing needle, and thread. Silver or Gray Leggings– I bought these legging from Walmart. It’s a smart idea to have your child wear leggings underneath their tutu because the tutu can make them really itchy and uncomfortable. Gray or Silver Paint & Glitter– You can use spray paint or go cheap like me and use gray acrylic paint. As the paint is drying sprinkle some glitter on the hat. Rhinestone Hearts (optional)– I cannot remember where I got these. 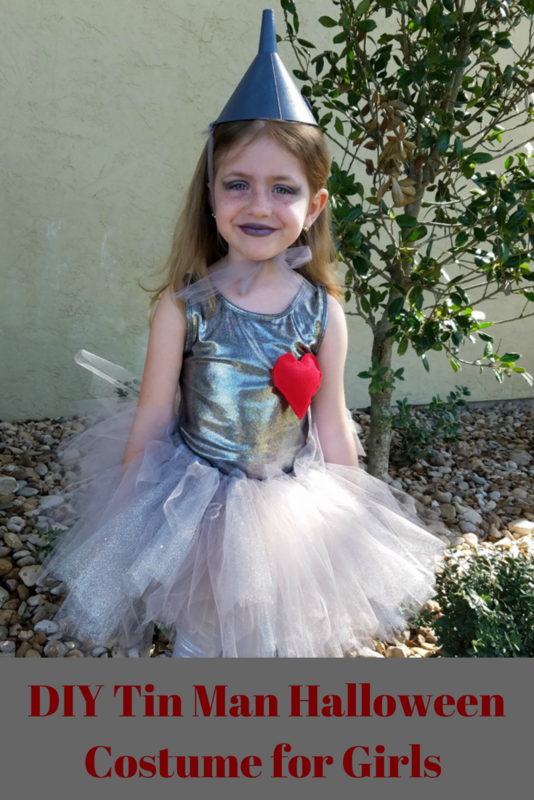 Silver Eyeshadow & Lipstick– My little Tin Man refused to have her face painted so she agreed to lipstick and eyeshadow. Hat– Spray paint or brush paint the Tin Man’s hat silver or gray. As the hat is drying, sprinkle glitter across the hat. Once the hat is dry, you can glue a red or silver heart charm on the hat. After or before the hat is painted, drill a hole into each side of the hat so that you can tie your strips of tulle into each hole, knot them and tie them around the child’s neck into a bow. Red Heart– Cut 2 hearts out of the red felt. I printed a heart off of Google and used that as my tracer. Hot glue only the edges of the hearts together, leave one side of the heart open, stuff the heart with cotton and then glue the remaining edges. 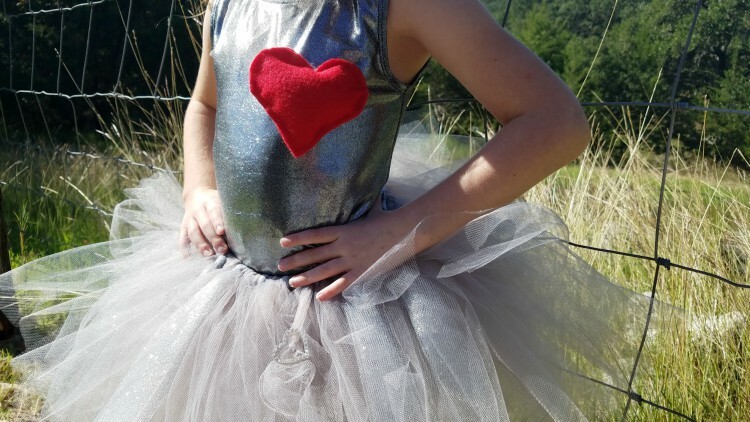 Safety pin the heart onto the silver or gray leotard. Tutu– I do not have a tutorial for you, yet, but there are a lot of tutorials on YouTube. They are super simple to make. I used gray and silver glitter tulle. In my art cabinet, I found the cutest rhinestone hearts that I interweaved into some of the tulle pieces. This is optional, but I wanted to put as many hearts as I could on the Tin Min since that is what he wanted from the Wizard. 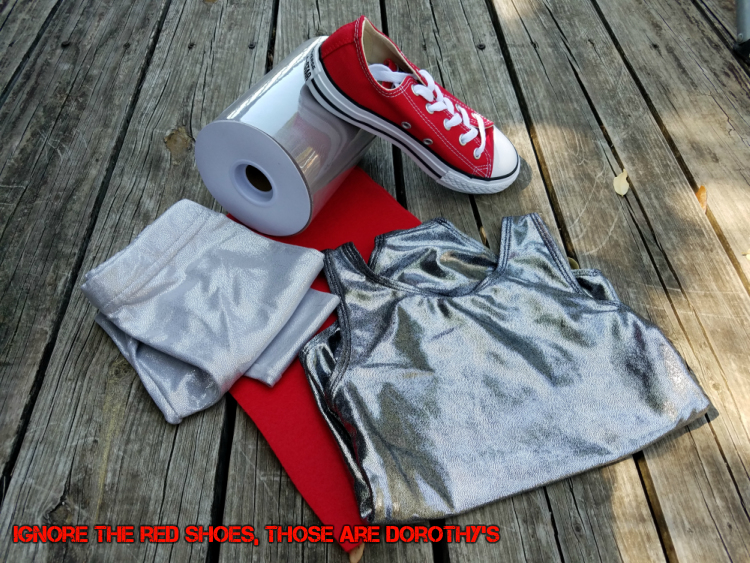 This DIY Wizard of Oz Tin Man Costume for Girls is a super cute, adorable and simple to make costume that is perfect for girls of all ages. 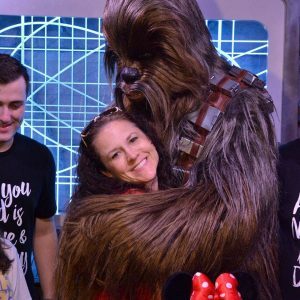 Please pin this for others to enjoy!